Don’t forget our fall Oktoberfest celebration this Saturday in La Veta. Kelly Popejoy has let us know that Grandote Golf Course will end its 2010 golfing season on October 3. The opening date for 2011 will be May 15th, pending weather of course, and they are already booking large groups for this next year! See Kelly’s complete post in response comments. More positive steps were taken this past week for the Cuchara Mountain Resort. Huerfano World Journal reports that our Huerfano County Commissioners have given their preliminary OK to the project by conditional approval on an application for a smaller scale Recreation District. Attorneys felt that was more appropriate than the previously considered Metropolitan District. And The Signature reports that the Cantrells have indeed now officially Closed on the purchase and the Resort Deed has been recorded. A design group has been hired to begin work on the recreational plans. No full moon harvest last night, as we were cloudy with rain showers. But that didn’t dampen spirits at the pre-opening Celtic Festival Party. A very nice turnout of patrons and supporters were hosted up at Joan Handley’s beautiful hilltop home to kickoff our annual Spanish Peaks International Celtic Music Festival. A few early arriving musicians joined us as Jack Yule provided entertainment on his accordian. Our warm, dry weather will change to rain showers this evening in the Cuchara Valley. The Equinox also brings us a beautiful fall Harvest Moon. The moon will be so bright that farmers can reap their harvest all night long. We continue to write new purchase contracts this year. 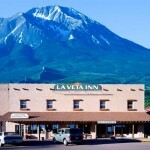 Our special congratulations this week go out to the folks at La Veta Inn. I presented several offers to The Inn and it is now officially Under Contract. We look forward to a quick Closing and exciting new changes ahead. Trout Fishing today. This great outdoor concert is Sat. 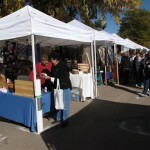 2 to 5 pm at La Veta Town Park behind the SPACe art gallery bldg. Bring your own picnic and chairs or enjoy sitting on the ground. Donation of $12 per person is requested. La Plaza de Los Leones is celebrated this weekend in Walsenburg. Honors the history of hispanic heritage in Fiesta Park-Walsenburg with dancing, entertainment, booths and more. Sat. and Sunday. Civil War buff Sandy White gives a lecture on famous Glorieta NM Civil War battle as the war effort tried to include N.M. and Colorado. Hear Sandy on Saturday at 4:00 PM at the Francisco Fort Museum in La Veta – No Charge. And coal mining history buff Jon Sudar will speak at Lathrop State Park this evening at 7:30 PM. King Coal – is a Coal Mining Story of the times when coal was king in Huerfano County. The Fourmile Canyon fire near Boulder, CO continues to reek havoc in that area. Thankfully no serious injuries or deaths at this time. But 63 country homes totally destroyed (including those of 9 volunteer firefighters). Both of my sons are firefighters (and paramedics) so the stress and danger of fires is always on my mind. Luckily we have not experienced a major fire in our general area of southern Colorado in many years now.